LEBANON, Ohio -- Amy Lyons had a solid job and two kids in sports: Her daughter played softball and her son football. That fell apart when Lyons began to use methamphetamine. At the height of her addiction, she says, it cost her $6,000 a month. Children Services took her son. “At one point in time, I had no job, no car, and no place to live,” she said. These problems go back to the first time she used meth. The high grabbed her, and eventually hooked her. It’s why law enforcement worries about a new form of the drug that’s easier to use -- and could be mistaken for other drugs. These meth tablets were pressed into the shape of an over-the-counter pain reliever. In the past few months, Ohio troopers seized two shipments of pills they believed to be ecstasy. Those turned out to be meth. 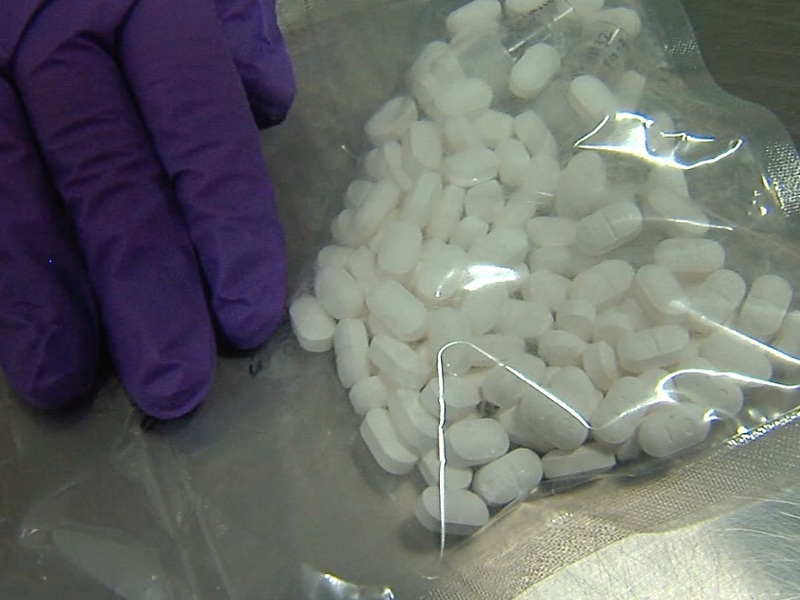 For Lt. Mark Gooding, it was the first time he’d seen tests show tablets with pure methamphetamine -- not an amphetamine or heroin derivative with meth mixed in. One batch looked like Tylenol. The other batch had tablets shaped like Darth Vader’s helmet. They could have passed for children’s vitamins or ecstasy tablets. He worries people won’t know what they’re buying. “If they take it thinking it’s ecstasy, and it’s meth, it could elevate their heart rate and body temperature and they could have other complications,” Gooding said. Those complications could lead to death. Why pill form? It all comes down to money. Drugs cartels have lost customers who’d been using heroin because they’ve overdosed, Lt. Robert Sellers said. So the cartels are looking for a new market: People who might not want to shoot it up, snort it or smoke it may be more open to using meth if they can just pop a pill. “It reduces the fear in people of doing a hard drug, because now, it’s just a tablet,” Sellers said. Butler County Prosecutor Mike Gmoser also said users are recognizing the higher risk of death from fentanyl-laced heroin and turning to meth as an alternative. "An awareness grew in the drug culture,” Gmoser said. “The user community started to realize that their chance of dying from fentanyl-laced heroin was increasing exponentially." Sellers also worries about the rising prevalence of meth. Cartels wouldn’t just make a few hundred tablets, he said: They’d make hundreds of thousands, and law enforcement has intercepted just a small fraction of that.